Iconic images of the city from one of the masters of photography collected for the first time in a charming homage to lost New York. Here is “The City of Ambition”—the New York that inspires dreams, the Gotham of the early twentieth century, when grand skyscrapers sprouted everywhere amid columns of steam. Alfred Stieglitz—the legendary art impresario and husband of Georgia O’Keeffe—forged a paean to his native city, finding inspiration on the streets, from the harbor ferry, and in the high-rise views. In her essay, respected art historian Bonnie Yochelson places Stieglitz’s work within the context of the burgeoning commercial world around him and other artists of the period. Stieglitz witnessed a key period in New York’s history when the city suddenly transformed into a modern metropolis. As a child, he grew up in an upper Fifth Avenue brownstone still surrounded by empty lots and dirt roads. Naturally, he was fascinated by the monumental buildings rising around him, and you can sense his wonder in these images. Among the classic buildings he so artfully captured here are the (now demolished) Madison Square Garden, the Flatiron, Rockefeller Center, the Waldorf Astoria, the Chrysler, and the Empire State. His images formed archetypes that would go on to shape the imagination of generations. This intimate volume makes for a beautiful souvenir of timeless New York, a city of striving and dreaming. Bonnie Yochelson is former curator of prints and photographs at the Museum of the City of New York, and an art historian specializing in photography. 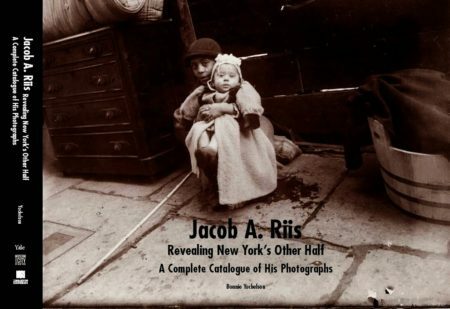 Her other books include Jacob Riis: Revealing New York’s Other Half (Yale University Press, with the Museum of the City of New York and the Library of Congress, 2015) and Berenice Abbott: Changing New York (New Press, 1997).